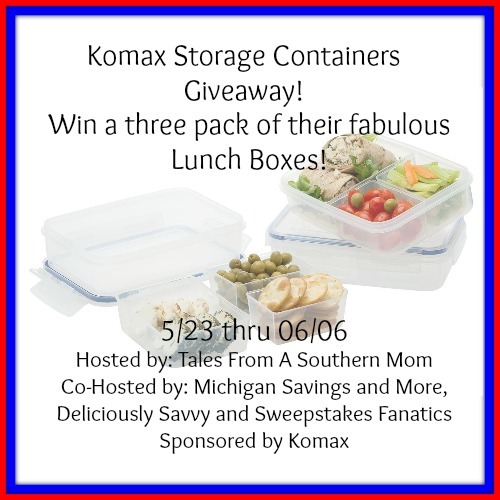 Come on by and try to win a three pack of lunch boxes. Food not included. US only entrants. You have through 6/6 to enter to try and win. Good luck. 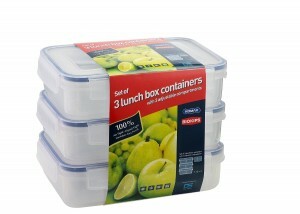 Komax has every kind of storage container you could possibly want! They are sturdy, dishwasher, and microwave safe and lock with clips on all four sides. 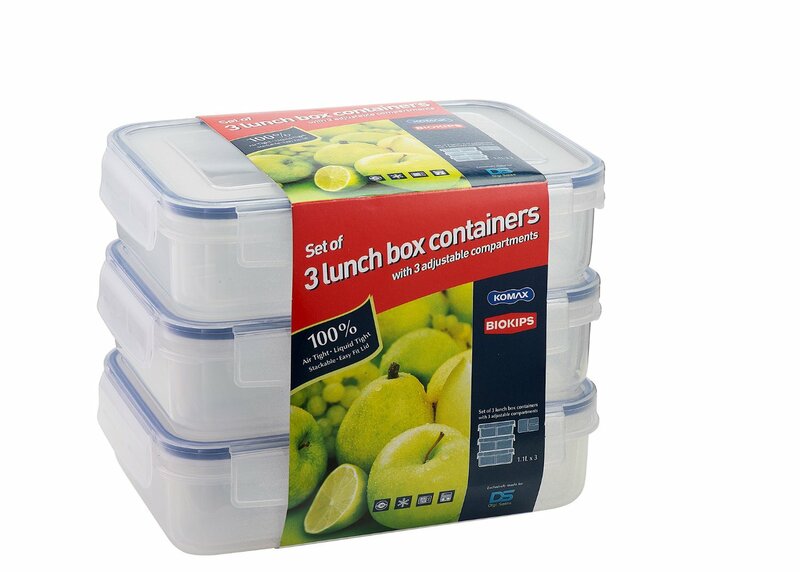 The lunch boxes they offer have three separate containers inside the actual locked container so that you can move and mix and match. When you reheat you don't have to worry about having warm coleslaw or salad you can just remove those components before you heat and eat! You can read the full review here.